As a GP, health inequality is at once one of the most frustrating and understandable challenges to our society. For anyone involved in providing health it does not sit right that in Lambeth alone, your life expectancy is six years less if you are a male at the bottom end of the socio-economic scale compared to those men living at the top. Geographically that can mean 2 men living literally a few roads away from each other. So how do we solve this? This is a complex and messy answer, but at the heart of it is accepting that only part of the solution sits in GP surgeries and hospitals. It has long been understood and accepted that the ‘wider determinants of health’ – housing, education, social needs, green spaces etc play a key role. If any of these are inadequate then your risk of disease increases. Interestingly, another risk factor for poor health is being from a different ethnic background. This fact forces us to understand how and why culture, belief, traditions and expectations affect a person’s ability to stay healthy. This can be incredibly challenging for GPs, who on a daily basis are trying to provide evidence based medical advice in a way that is accessible and relevant to the life of the individual sitting in front of them. Sometimes we feel impotent, knowing that the root of our patients’ problems (poor diabetes control, chronic back pain) lies in much wider problems (a chaotic lifestyle, no money, no employment rights). Often the patient knows this too, but has nowhere else to turn to. And then there are those we do not even see, disengaged with the health system, only coming onto our radar when they are in acute crises. In 2015, as a GP partner at the Grantham Practice in Stockwell, I set about looking to develop a small ‘side’ project which would help me explore some of the above challenges that hopefully would help my patient population – a little at least. My first learning point was that I was working on the doorstep of ‘little Portugal’ with 30% of our registered population being Portuguese speaking. In north Lambeth at least, this was primarily made up of a wave of economic migrants that came to London in the late 70s/80s, many from Madeira. A trip up South Lambeth Road will confirm this with multiple references to the beautiful island visible. From talking to colleagues, it also became quickly apparent that there was lots of anecdotal and observational evidence of how the healthcare for this population was sub-optimal. People not registering with GPs, not attending follow ups for their chronic diseases, using A&E inappropriately. This feeling, was being borne out by emerging data as we started to mine GP systems and found that if you were Portuguese speaking you could expect worse diabetes and blood pressure control when compared to other cohorts. So here was a project for me to get my teeth stuck into. The most important thing was to first build bridges with the community itself. With no lusophone capabilities, I enlisted a colleague and friend – Dr Cristiano Figueiredo, a doctor training to be a GP in Lisbon, to come over for 2 weeks that April and help me run a ‘NHS’ day at the local Portuguese Speaking Community centre (where we were welcomed by the passionate and inspiring manager Fernanda Correira-Sefzcik). This open forum day led to focus groups and surveys where we tried to get as much perspective of the local population of what they felt was going wrong with their health in London. The emerging insight was telling – mistrust and myth of authority, differences in healthcare systems that caused immense annoyance and of course the pressures of living in urban London – poor housing, concerns about children, isolation and so on. This was also the first time I got to see the power of working with fellow community organisations. Not only did Fernanda and her colleagues have insights that further deepened our understanding (for example issues around domestic violence and broken families) but I saw first-hand the passionate and active members of the community who were working so hard to help others. Buoyed by this, Cristiano (now back in Lisbon) and I set about developing low cost lo-fi interventions such as translation sheets and education days. And as we learnt more and had new ideas, so we found ourselves talking to more and more people of the health and wellbeing spectrum – charities, housing, educationalists. Fortunately for us, NHS Lambeth was at the same time developing a forum to promote more collaborative working between all sectors involved in health and social care (the Local Care Network) which suddenly provided a platform for us to take our ideas to a wider more influential group of agencies. 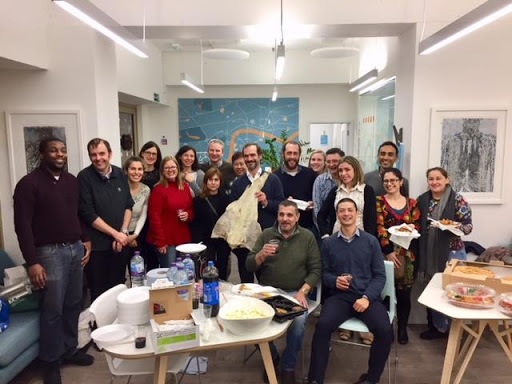 And the other luck we had was that it just so happened that the deputy Mayor of Lambeth at the time was a passionate, Portuguese activist who instantly supported our work – Cllr Guilherme Rosa. With this wider reach our projects became more ambitious. All GPs in Lambeth could now access Portuguese education leaflets on their computer system. A small A5 booklet entitled ‘Welcome to the NHS’ in Portuguese was circulated through churches, cafes and other community venues. Local and national Portuguese media started to pick up on things which brought forward further interest from community members who had seen us on their cable TV. By the end of 2016, there was a clear momentum to the project with partners as varied as English Action for Learning to The Latin American Disabled Peoples Project bringing ideas and energy to the group. 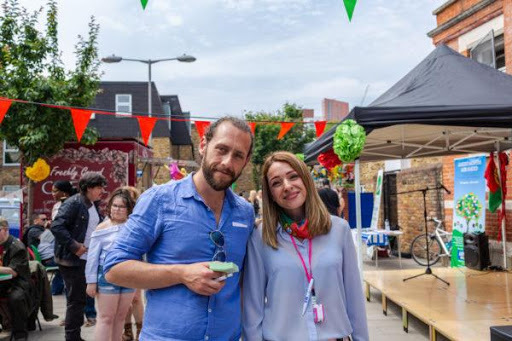 At this point community connector extraordinaire – Will Nicholson – who it seemed had made it his work to get to know as many different people in Lambeth with an interest in health and wellbeing as possible – came on board. 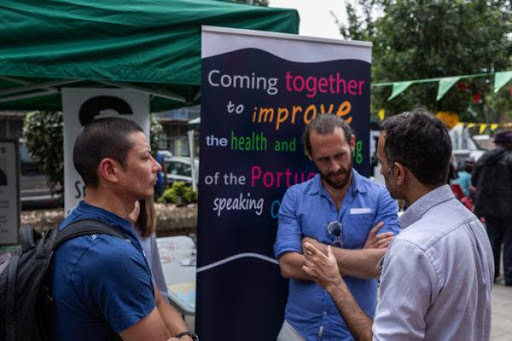 Working in his capacity as a connector at the Health Foundry we organised an open call for anyone interested in health inequalities in the Portuguese Speaking community to come and get involved. We had 35 different organisations and individuals, from community volunteers to the Portuguese consulate attending the event.  By early 2017 we were starting to form an identity of a group in our own right and we gave it the name the Lambeth Portuguese Wellbeing Partnership (LPWP). 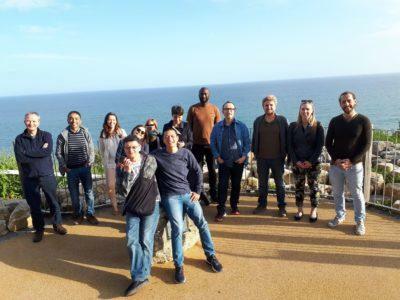 So far we had acted as a loose network – a platform where different partners could meet, share their needs and develop joint projects. What we wanted to do now was see is if we as the LPWP could develop our own unique project – proving that we were greater than the sum of our parts. In Spring we ran a one off pilot of a Breakfast/Homework Club. Working with the Wedding House Café on South Lambeth road, Wyvil school and a host of other charities and volunteers, we provided healthy breakfasts and homework support for primary school children. Parents who stopped by, were given social and health advice as needed. In Autumn, we held a St Martins Day Festival at Reay Primary School. We had chestnuts imported from Portugal, folk dancing, films discussing mental health, walking football led by Millwall Footbal Club and a lot of other community businesses and organisations volunteering and contributing to the event. These experiences only confirmed to all the partners in the room that we were onto something and soon after we signed up to a vision document – the vision of us all operating as one hub for wellbeing, where people got support from the right person at the right time. We imagined a physical space that we would operate from and discussed how we could sustain ourselves. We took this vision to Guys & St Thomas’ Charity who themselves were looking for new innovative ways that communities come together to tackle the problems of long term health conditions. Which brings us to the present. An incredibly exciting time for all the partners involved. Now with some substantial funding and an emerging confidence, the LPWP has formally started to develop its ideas and take small steps to its long term vision. How do we capture what we are doing into a mechanism that can be used and embedded into the community? How do we upskill and empower leaders from the community to take this forward? How much of what we are learning can be used to support and help all people with wellbeing needs? And as we progress here in Lambeth, incredibly, Cristiano – my friend from Lisbon, has taken what he has seen here and set up a similar project for the Bangladeshi populations suffering inequalities there as he leads the Social prescribing agenda in Lisbon. For just like doctors here in London, there are clinicians all round the world, asking the same question – what is it that we actually mean by the world ‘health’?